After Yaniv (Nev) Schulman's photograph of dancers is published, he receives an package in the post. An eight year old girl called Abby has painted his photograph and it is stunning. Intrigued, Nev makes contact with Abby’s Mum Angela and also connects with her wider family via Facebook. Abby continues to send him paintings - both based on his photography and also portraits of her family and the things that interest her. Meanwhile, Abby has a 19 year old half-sister called Megan. Nev connects with Megan on Facebook. He can see from her photos and posts that she is beautiful and an accomplished dancer, artist and musician. Megan and Nev start a tentative virtual relationship. They talk on the phone, message each other and begin to discuss the idea actually meeting despite the distance between them (Nev is in New York, Megan in Ishpeming, Michigan). Nev’s brother Ariel (Rel) Schulman and their friend Henry Joost are also intrigued by Abby and her family. As filmmakers, they decide to document the relationship - focusing on Nev and Megan. When a work trip to Vail, Colorado puts them within reach of Ishpeming, Nev asks Megan if she would like to meet him in person. By this point, their virtual relationship has developed and become more intimate. However, despite seeming committed to Nev online, Megan does not agree to meet him, explaining that she has commitments at home. Nev then makes an unsettling discovery - one that throws his entire relationship with Megan into confusion and bewilderment. Henry and Rel suggest that the three of them make a trip to see Megan and find out the truth. It is very hard to talk about Catfish without giving away crucial parts of the story. Indeed, the movie’s tagline is “Don’t let anyone tell you what it is”. I am going to try to be spoiler free here. However, to get the full impact of the film, I would advise that you watch it first and read this post afterwards. Catfish was a huge hit when it was released at the Sundance Film Festival in 2010. It has also been well received by film critics (it has, for example, a 80% rating on Rotten Tomatoes). I enjoyed Catfish. I was gripped by the story and felt a mounting sense of unease as I realised that things were not what they seemed. Obviously times have moved on since this film was made and we are now much more aware of the issues with online friendships/relationships. However, to me, Catfish still feels like a relevant, cautionary tale. One that, with all its twists and turns, still shocks and surprises. It;s a story that I might well tell my children as they become old enough to venture down the rabbit hole of the virtual world. I did have problems with the film, however. First of all, I didn’t quite buy into its beginning. It felt staged to me - there is something in Nev’s eyes that just doesn’t seem right. Of course, having now read reviews of the film, I see that critics have questioned whether some footage was shot after the story had ended - for purposes of narrative flow. I believe that this has been denied by the filmmakers. It also felt strange to me that people as media savvy as Nev, Rel and Henry didn't do more online detective work from the outset. The film wouldn’t exist as such a twisty drama if they had. Were they, therefore, deliberately ignorant? This has made me wonder about the line between drama and documentary. Am I naive to think that any documentary is real? After all, documentaries are not just streams of raw film footage - they still have directors and editors. Can you even have rules here? I actually tweeted this question to Dogwolf, one of the UK's leading documentary distributors. Dogwolf was not involved in Catfish but its films include such amazing films as Restrepo and Blackfish. The answer? There are no rules. My feeling is that you have to be honest with your audience. My other problem with Catfish is that it feels exploitative. At its heart is a person with mental or emotional issues and, even though everyone in the film gave their permission for it to be made, this remains unsettling. The thing is, if the players in the film are not being exploited, are we? Does this film push people into the spotlight purely for self-promotional reasons? Is this okay? I’m not sure. One thing is certain, Catfish is an interesting and thought provoking film on a topic that remains all too relevant today. 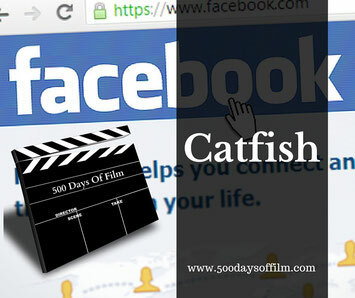 The movie is called Catfish because of a story told at the end of the film. Catfish are apparently put into tanks with other fish to keep those fish stimulated and moving around during transport. Catfish people are, supposedly, those that keep us guessing and on our toes. Have you seen Catfish? What do you think about this documentary? I’d love to know in the comments section below!